XLure R.T.U. 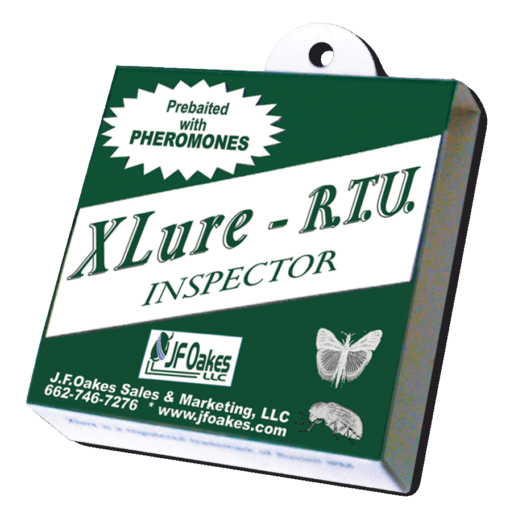 Inspectors are small, inexpensive pheromone monitoring traps pre-baited with multiple pheromones to attract Plodia/Ephestia and Lasioderma serricorne ( Indian Meal Moths, Almond, Raisin, Tobacco, Mediterranean Flour Moths & Cigarette Beetles). 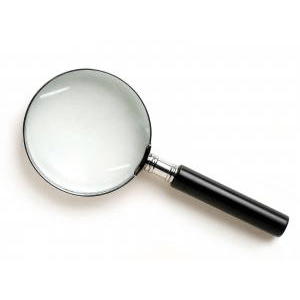 We don’t call it ‘The Inspector’ for nothing…. 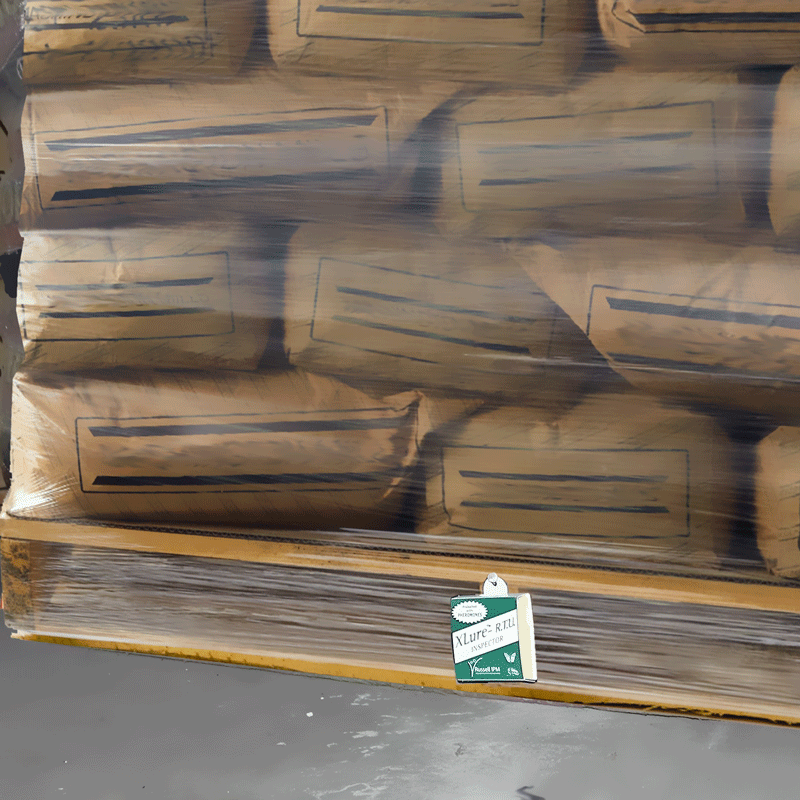 Due to it’s small size, Inspectors can be placed throughout a large warehouse to pinpoint the insect hot spots efficiently. 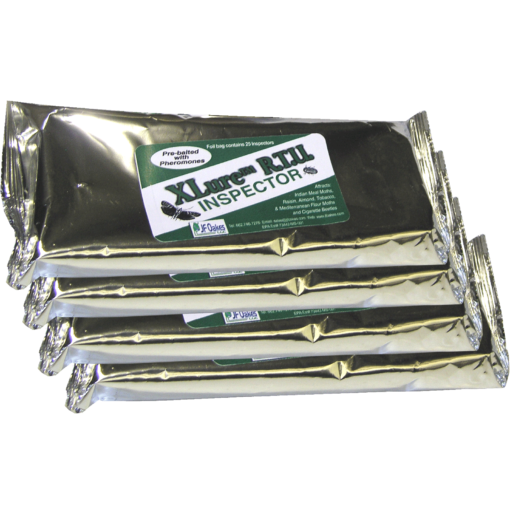 Inspectors have a low pheromone release output which allows placement of traps in close proximity to one another without causing mating disruption. The low cost allows you to stay on budget while effectively monitoring the insect populations in your account 24/7. When ‘inconspicuous’ is important… The small compact size allows for use in tight spaces or areas where monitoring should be inconspicuous; homes, grocery stores, pet shops, electrical panels. 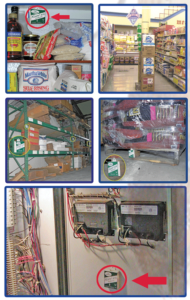 Use Inspectors in both commercial and residential accounts to help identify stored product insects and their location. 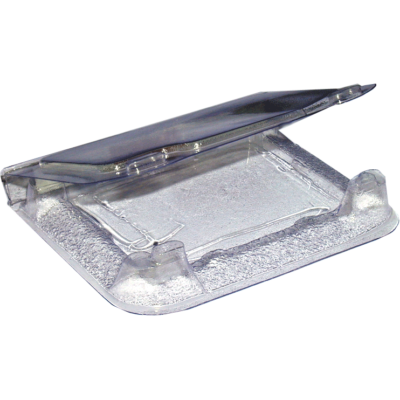 Easy to Install… Simply remove the protective release liner covering the glue area and fold trap in to a box shape. Inspectors can be hung with a tab or secured to surfaces using double-stick tape on the back of each trap. … Pre-baited reduces the chance of trap contamination…. Another benefit of pre-baited traps is less handling of the actual pheromones. Less handling reduces the chance of contamination of the trap. Nicotine from tobacco products, hand lotions, perfumes and even hand sanitizers can be transferred from the installer to the trap. 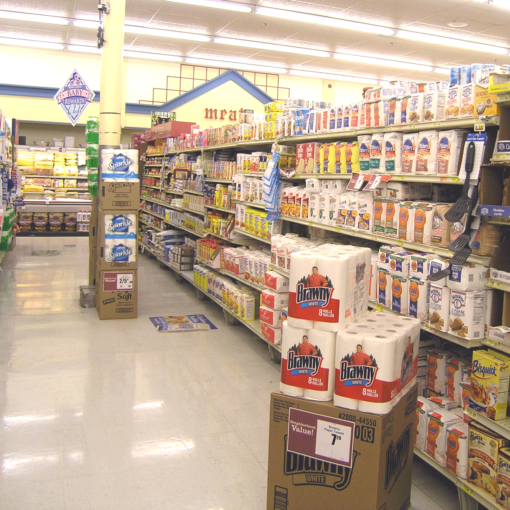 Insects can be repelled instead of attracted to the trap. While this can happen with any pheromone trap, the less handling, the less opportunity for contamination. 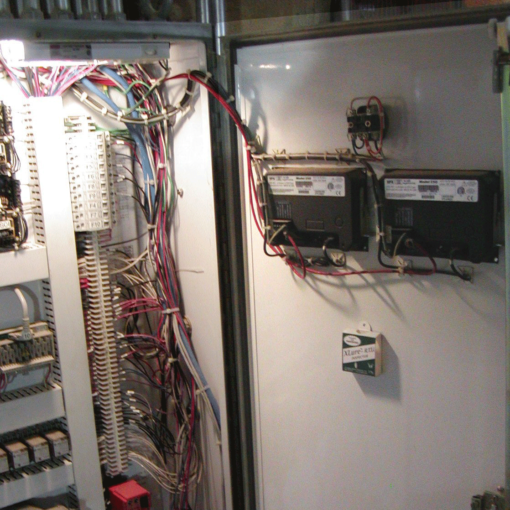 …Installation friendly time savers…. Pre-baited also means a lot less labor in installation and replacement of pheromone dispensers inside traps. 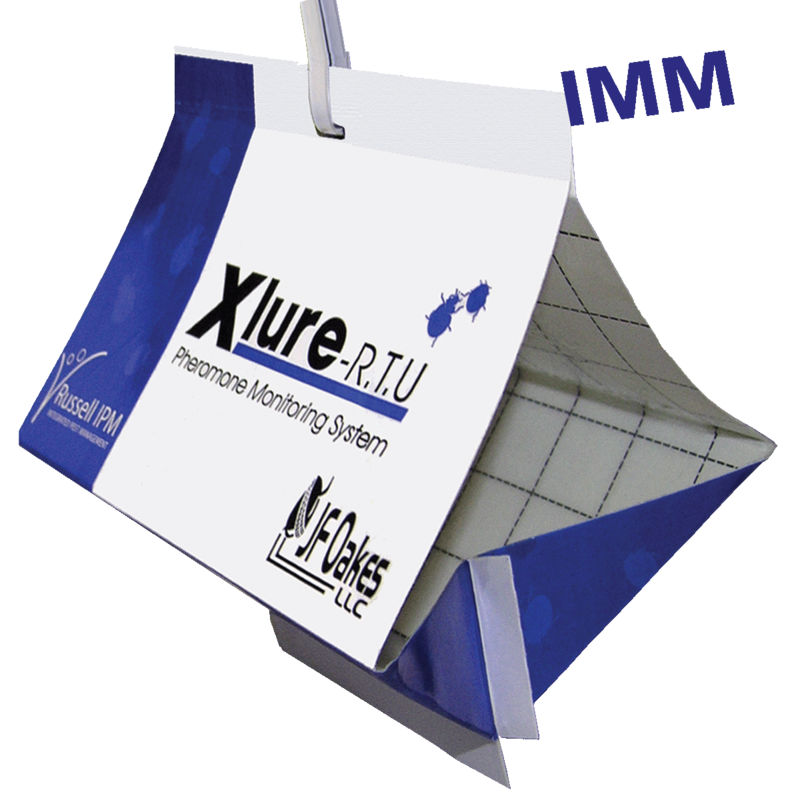 …Accurate monitoring data… Most importantly, XLure R.T.U. pheromone monitoring systems have been depended upon for many years to render accurate insect population data in critical, low to zero insect tolerance accounts. Your customers depend upon you to help them protect their brand names… you need a pheromone monitoring system in place with an excellent track record. 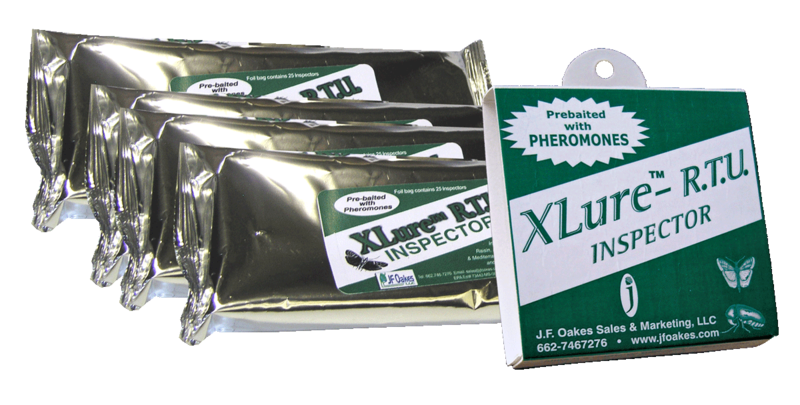 …You can rely upon XLure R.T.U.